Well hello to you my reader chums! 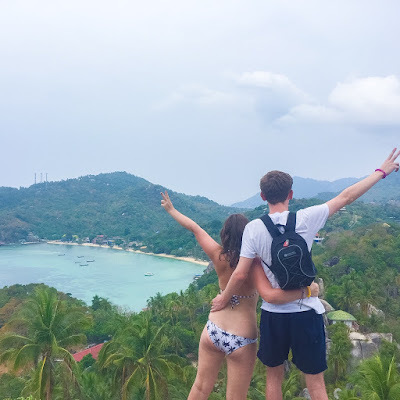 As November is swiftly coming to an end and the festivities of Christmas are emerging, it's time to share with you my favourites of the month. I haven't loved too many items over the past few weeks yet these select few I've been thoroughly enjoying. 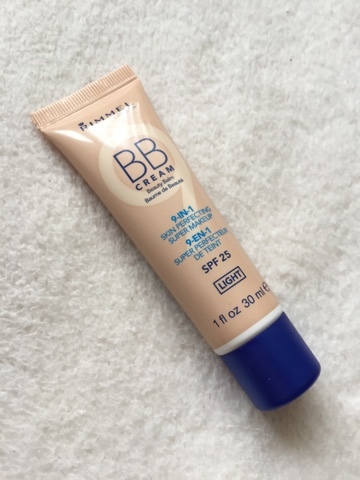 The first item has to be a new product I've been trying out recently, Rimmel's BB cream. I'm a huge fan of BB cream because I prefer that lighter coverage on an everyday basis rather than a full coverage look. As I adore Maybelline's BB cream, I wanted to test out a similar base product and see how I got on with it. Despite it being such a light base, when I first squirted some on the back of my hand, I was surprised to see how thick the consistency was. I then dabbed and blended it all over the skin which resulted in a dewy, glowing finish, perfect for that fresh faced look. I would really recommend this product for someone who either is starting out with makeup or like me loves a lighter coverage. As it creates a glowing look, it's ideal for a day at work because it gives that oomph to your overall complexion. Another favourite has to be Soap and Glory's hand food. With the weather getting increasingly chillier, it means my hands become a lot drier. If you saw my winter handbag essentials post, you'll see I featured this. I find a hand cream is most certainly needed in this winter period, as cracking hands can be quite painful. I love hand food in particular because it holds a heavenly smell and truly does the job of moisturising my hands, This size also is perfect to pop in your bag on the go! 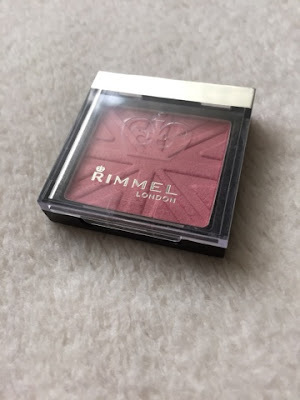 The next makeup product I've been loving is another new discovery, Rimmel's blush in 'Live pink.' I purchased this after hearing Lucy and Lydia ( twin youtubers I love watching) talking about it in one of their videos. When it comes to blusher, I prefer pinky/rose tones that contain subtle shimmer running through, which describes this blush perfectly. Once applied it leaves the most beautiful pink flush to the cheek bones, adding a natural glow without needing highlighter on top. I've been loving this for an everyday use because it enhances the natural cheek colour without being too over the top. The last beauty related product has to be the Real Techniques miracle complexion sponge, a tool I'm genuinely obsessed with and recently done a review on. It took me a while to finally jump on the band wagon and try this tool out, but I'm so happy I did. 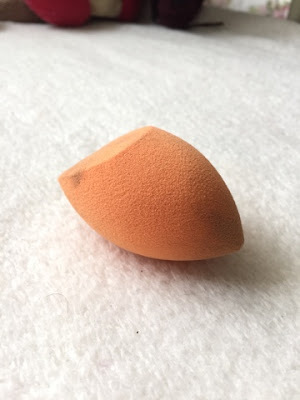 I find by using a beauty blender in my daily routine, it really helps boost the overall look of my base makeup. As you're able to get into the smallest areas of the face, you can blend products easier and even build coverage. By using a dabbing motion instead of the usual swirling technique of a brush, layering is a dream and helps give that desired flawless finish. It's become a definite staple and I would certainly recommend it to anyone who hasn't used one before. 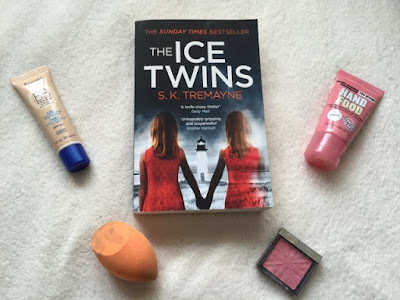 The last monthly favourite is a novel, 'The Ice Twins'. The plot is about how one of the twins dies in an accident and the whole family moves to a remote Scottish island. There the surviving twin claims they've mistaken her identity and she's really the twin who they thought had died. As you can tell, it's a very intense twin based book, one which drew me in from the blurb. Throughout the rest of the novel numerous tragic and creepy events occur that create an overall heart breaking/gripping read. I finished this book the other week and adored every single word. The description was incredibly gripping on every page, drawing and holding you onto each sentence. At times I found the novel utterly chilling with the events that went on, however I kept wanting to read more and more. I loved the change of perspectives from the mother to the narrator, how relationships were explained and the depth of detail in the story. 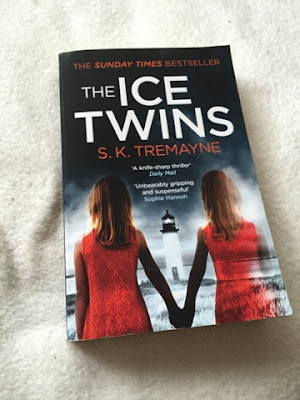 As it was a book about twins it hit me harder at times than it would other people, however overall I completely loved it. If you enjoy thrillers or anything in that genre, you'd certainly want to read this; a truly fab recommendation! I hope you enjoyed my November favourites. What have you been loving this month? That sponge is my life haha! 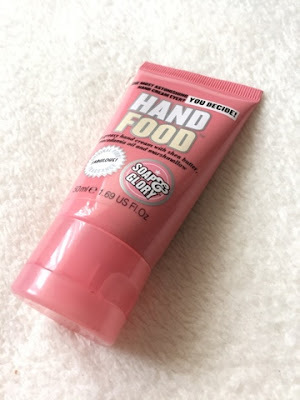 I've heard great things about Soap and Glory's hand food - I might have to pick one up this winter! My hands are definitely in need of some TLC!